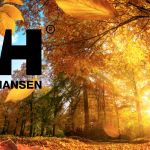 Stay warm, dry and stylish with Helly Hansen’s range of superb Spring-wear for 2018. 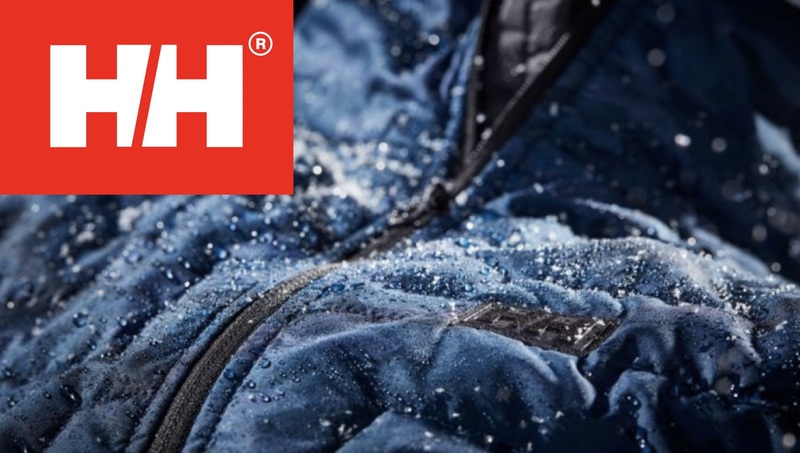 Helly Hansen is a brand renowned for pioneering a unique style. 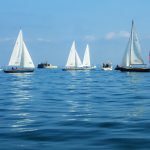 They have become known for combining over 140 years of sailing, mountaineering and nautical clothing, with modern and sleek styling. When it comes to Spring and the challenging weather it poses, Helly Hansen have it all wrapped up. 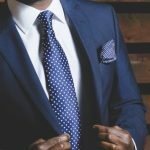 If you are looking for light, durable clothing that will keep you dry during April showers but also comfortable during the balmier days, the new range provides all you need in high-end clothing. 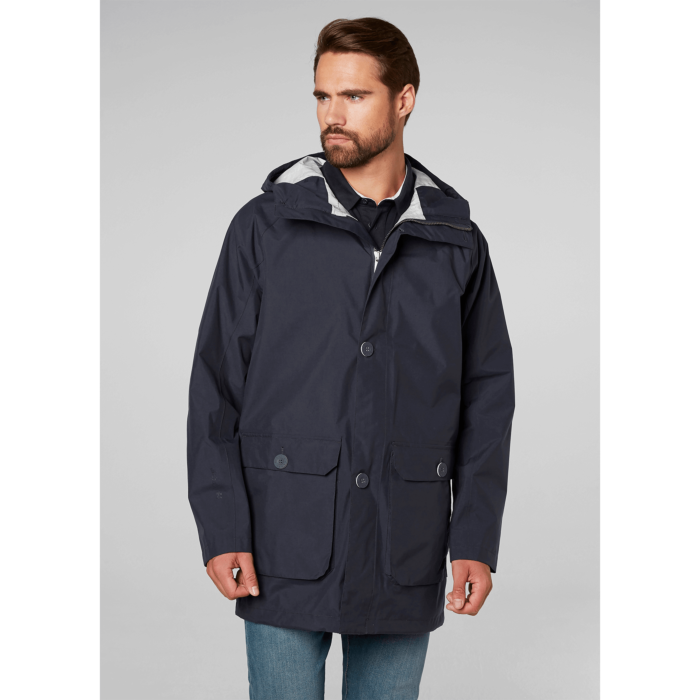 According to Helly Hansen, this outstanding raincoat is “inspired by Japanese philosophy”, which aims to focus on purity, simplicity and straightforward design. This unique concept of creation has resulted in the Influences piece being more than just a raincoat! 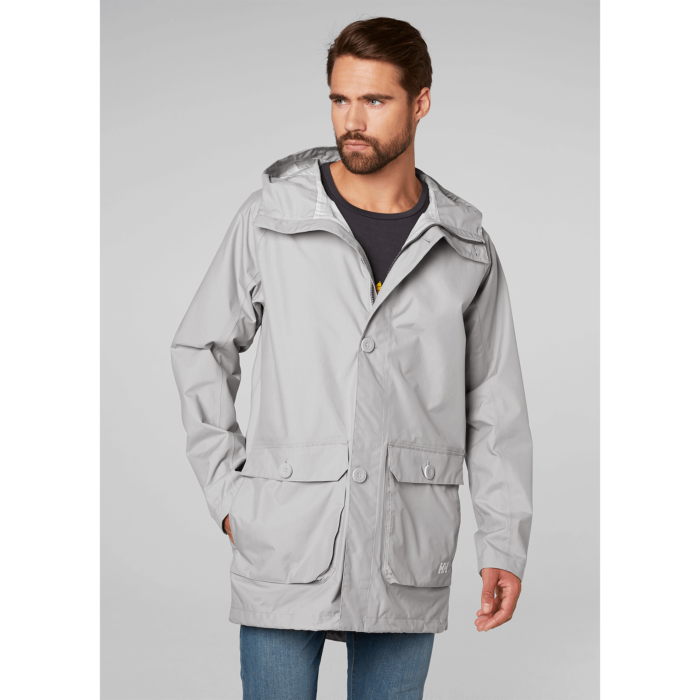 This superb item of clothing combines some of Helly Hansen’s best technology and a simple style for the ultimate raincoat. This includes the signature Helly Tech fabric, which keeps you dry and cool, with only 2.5 layers of material. The lightness of the construction gives the fabric a feather like feel with waterproofing, wind proofing and breathability all combined. The full time hood is partially adjustable and gives you the final element of protection against the elements. 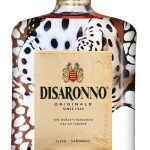 Stylish, fully weather proof and with a feeling of super built quality, this is worth every penny of the £250 price tag. Buy yours here. 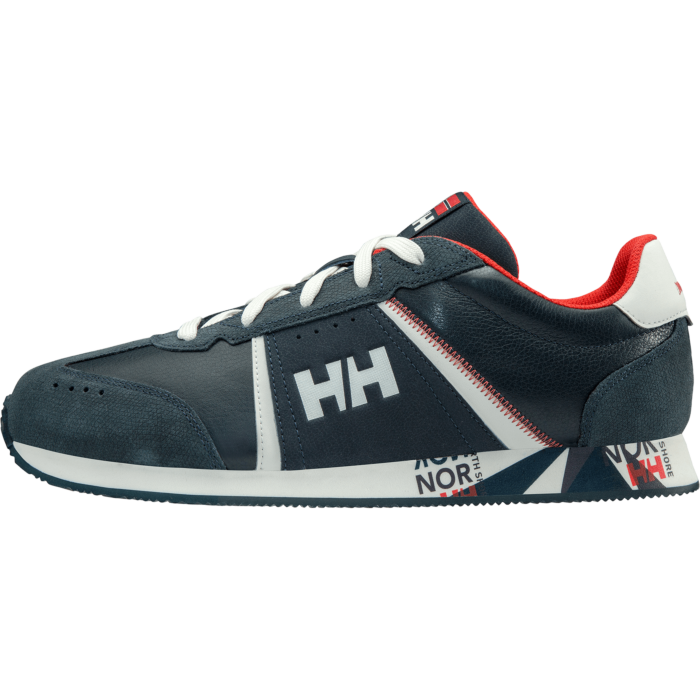 Encapsulating hints of classic Helly Hansen nautical wear, the Flying Skip trainer is a modern, sophisticated and practical solution to the superfast nature of modern life. If you are fleeting between the docks, along promenades or around the arena, these shoes allow you to do that in supreme comfort too. A classic silhouette with full-grain leather and embossed suede give the most opulent look and feel you can get from a modern trainer.